The people of God have a heart to worship Him. At Riverchase Baptist, we have a strong desire to make God known through worship—the lifting of His name through music in spirit and in Biblical truth. It is important to us to encourage others to share their gifts and make music before the Lord. ﻿Our prayer is that God is magnified and exalted by our actions each week. Sunday morning worship is a chance to come together with other believers in sweet fellowship and lift the name of Christ high. We pray each week that God will anoint the worship ~ that it might be a fragrant and holy offering before Him. 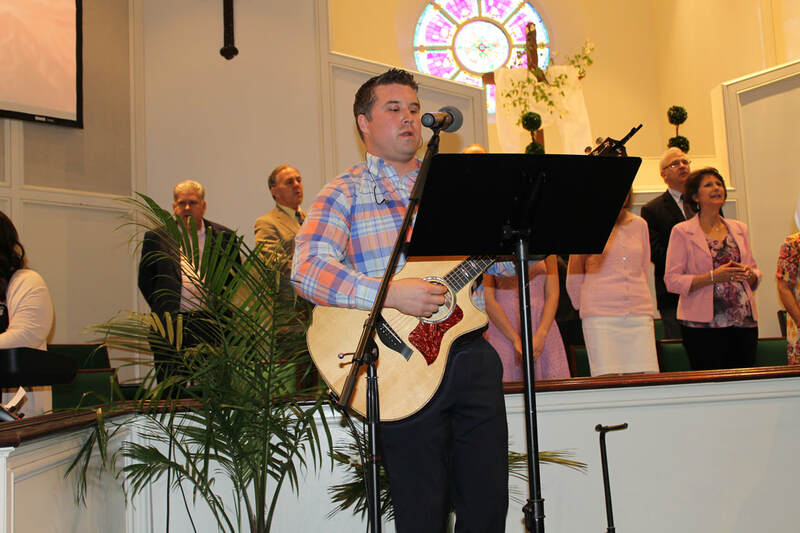 The Riverchase Baptist Church Music Ministry shares every Sunday morning as they lead in worship and sing praises to our Living Lord. They also share in a major Christmas cantata each year. Rehearsal takes place on Sunday mornings at 8:30.